By buying this product you can collect up to 99 loyalty points. Your cart will total 99 loyalty points that can be converted into a voucher of $0.99. 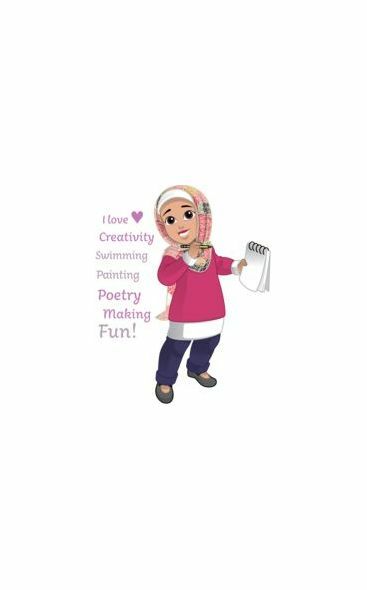 Meet Maryam, standing at 46cm (18in) tall, she's the one who has her head in the clouds, dreaming about the next artistic project she wants to work on. You can rely on her to make things beautiful and solve problems creatively. Most likely to be: painting something new, dabbling with technology, out surfing at the beach. Pre-styled scarf: We wish this came in adult sizes! 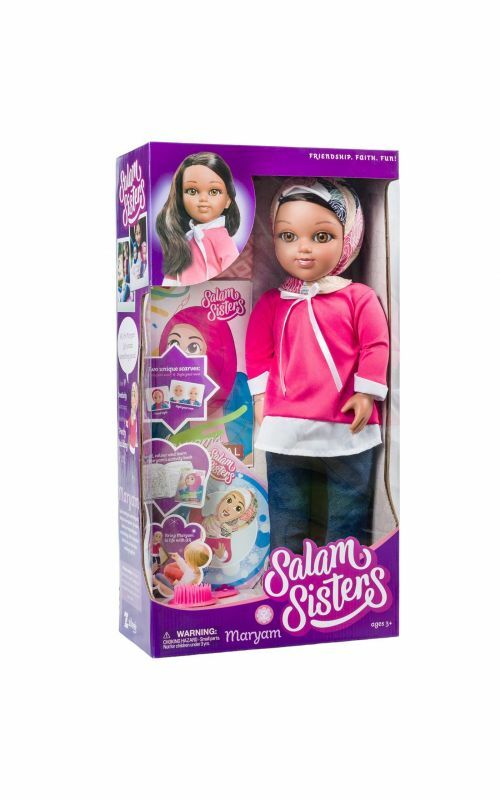 An easy to slip on and velcro-into-place headscarf so Maryam is always stylin' even when she's in a rush on her way to the masjid. Maryam's is a fun floral print. Style-your-own scarf: With a nifty bit of elastic at the neck (no pins needed) and free-flowing ends, the style-your-own scarf encourages young minds to get experimental and create their own unique #HijabStyle. Maryam's comes in pink for when she feels like changing things up a bit. Hairbrush: Because Maryam will arrive at your doorstep with her headscarf on, her hair might be a bit bent out of shape. Not to worry, we've included a hairbrush to help smooth things out because hair care counts for hijabi's too! 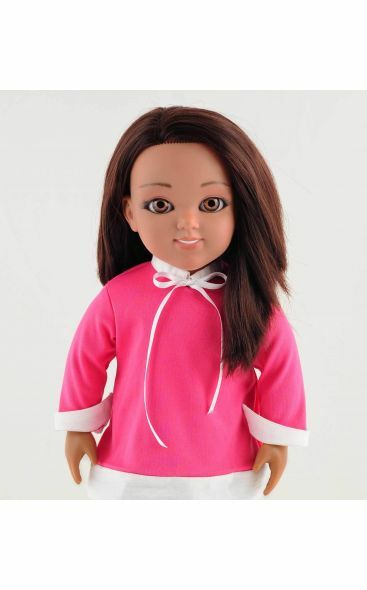 Cute outfit: Maryam's dark jeans are paired with a bright pink tunic with a white layer for length, folded cuffs, and a white ribbon at the neck. Finished off with black patent Mary Janes on her feet.